LollaShop returns for its 4th year in a row offering the complete line of Lolla-branded gear, limited-edition collectable merchandise, mini-boutiques, fun activations and prize giveaways, all to commemorate the 2015 Lollapalooza experience. Located at Block 37 on State Street, both ticketholders and non-ticketholders can score Lollapalooza merchandise even before the gates open in Grant Park on July 31. Collaborating with some of Chicago's favorite teams and brands, LollaShop will be presenting exclusive limited-edition merchandise including hats from the 2015 Stanley Cup Champion Chicago Blackhawks, the Chicago Bulls, the Chicago Cubs, New Era and Grassroots California, as well as products from BucketFeet Shoes, Grand Trunk hammocks and blankets, Brooklyn Cloth Apparel and Souldier guitar straps. 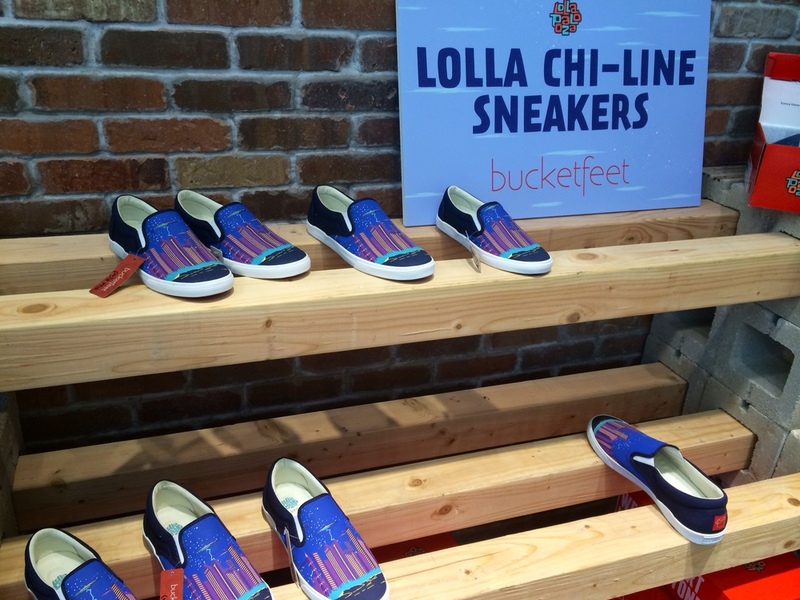 LollaShop will also be home to multiple mini-boutiques, where brand partners will showcase their products to help Lollapalooza fans get festival ready. Partners include New Era, Toms, Brooklyn Cloth, Grand Trunk, Flash Tattoo, Festy Besty, ChiChi Sports, Souldier and Dtox Designs. Shoppers can sample offerings from Red Bull, Vita Coco and High Brew while mulling over their festival fashion decisions and checking out the fun activations right in the shop. Blowtique's braid bar is offering hot hairstyles for the weekend, as well hair chalking and flower crown accessories starting Thursday, July 30 through the entire Lollapalooza weekend. Fans can customize their New Era x Lolla hat by adding a complimentary patch (choose from 5 different styles) to the side panel of their limited-edition cap, and commemorate the day with friends by snapping your pic in the LollaShop photo booth or at the selfie station sponsored by Smilebooth. Each photo shared earns an entry to win prizes from LollaShop. LollaShop's Grand Opening Day will take place on Friday, July 24th from 10am-8pm. Lolla fans can be first to grab all of this year's collectable merchandise, and enter to win the LollaShop Grand Opening Prize worth $500 of merchandise. Early shoppers will enjoy morning mimosas and pastries from Robert Mondavi and La Boulangerie from 10am-12pm. Lollapalooza artist Zebo will perform a DJ set to kick off LollaShop Happy Hour, where fans can meet and greet Lollapalooza 2015 poster artist Tony Fitzpatrick, aka Mr. Chicago, from 5-8pm. Shoppers will enjoy libations from Robert Mondavi and snacks from Baked by Melissa, as well as a free gift with any purchase over $25.